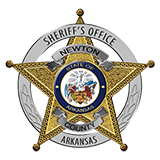 On February 17th, 2016, Newton County deputies responded to a call of unknown people being on a local resident’s property. The caller stated that an unknown female was sitting in the caller’s yard near her home and a male was standing over her and yelling at her. He appeared to be very aggressive toward her and the caller was concerned for the female’s safety. The subjects left the area while deputies were responding. A traffic stop and investigation that was later conducted in relation to the call resulted in the arrest of Jason Michael Vanderpool, aged 29 of Jasper, for Possession of a Controlled Substance (Marijuana), Possession of a Controlled Substance (Methamphetamine), Tampering with Physical Evidence and being a Habitual Offender. Vanderpool has an extensive felony drug history, which prompted the Habitual Offender enhancement. An initial bond was set, but Vanderpool was also a Parolee and was held with no bond for violating his Parole.